The 2018 edition of AS/NZS 3000:2018 Electrical Installations - (known as the Wiring Rules) is now available. You can buy a copy from SAI Global. brings industry requirements in line with best practice. Significant changes in these editions affects processes and competency of workers, extra time is required for the Administrator of Occupational Licensing (and his agents) as well as the electrical industry to consider the effects of these changes. 1 January 2019 has been set as the commencement date. Standards Australia has developed the new standard in collaboration with industry and government. Electrical work quoted prior to the publication date of the new edition of the standard that has been awarded a contract and the project may continue beyond the commencement date. On 30 May 2018 changes were made to the regulations. Download the Occupational Licensing (Electrical Work) Regulations 2018 . For a full description of the amended regulation refer to Regulation 4. In particular, Regulation 4 has changed the meaning of 'electrical work' to now include work on batteries (and other electricity storage systems) which supplies electricity to an electrical installation and is either stationary or in a fixed position. On 30 June 2018 new regulations start requiring all mains voltage (i.e. 240Va.c.  rated) self-ballasted LED lamps to be certified, marked and approved in accordance with the Electrical Equipment Safety System before being sold in Tasmania. More information is available on the sale of LED lamps as well as other electrical appliances and accessories.